This cute little Hanging Bunny will get lots of attention, especially if he has lots of other bunnies hanging around too. There are patterns to make this an easy project, the only thing you might not have on hand is the pink cotton ball. 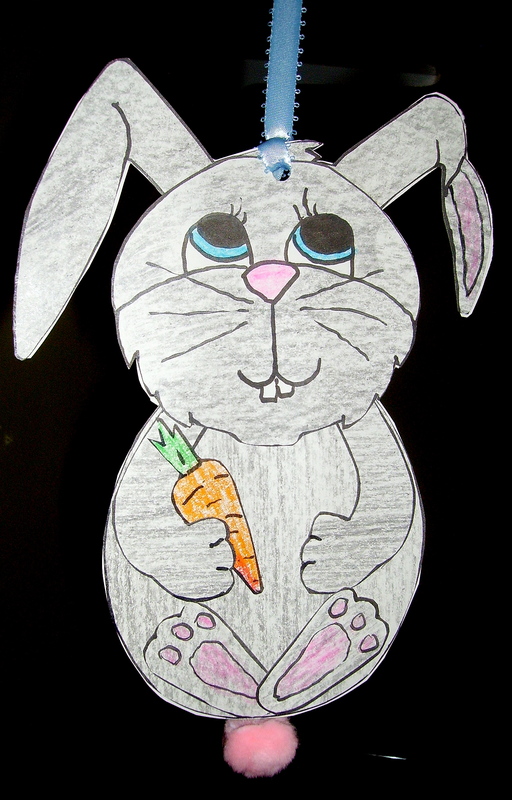 The list of supplies and directions for this “Hanging Bunny” is in the Easter Projects Gallery in the sidebar. This entry was posted in Categories, Easter and tagged bunny decoration for the classroom, easter crafts, easter crafts for kids, easter projects for kids, hanging bunny, hanging bunny decoration. Bookmark the permalink.